Located in the Sangre de Cristo Mountains near Westcliffe, Colorado at 8,100 ft. elevation, the 35 acre site capitalizes on the spectacular 180 degree mountain views. 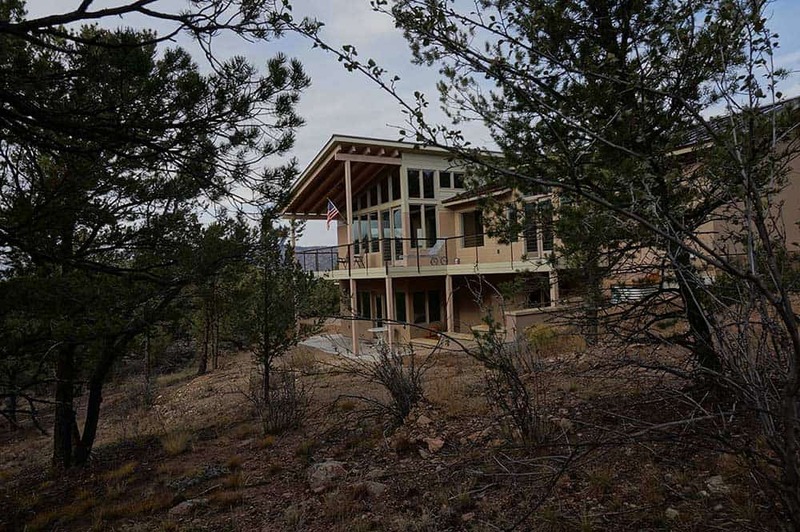 The 3,000 s.f contemporary mountain home on two levels includes generous outdoor decks connecting to the landscape. The Main floor encompasses the Kitchen, Master Suite, Dining and Great Room-all focused on the tremendous mountain views. The Lower Level walkout includes a Family Room, Guest Bedroom and Bath, Office, and Utility Room. 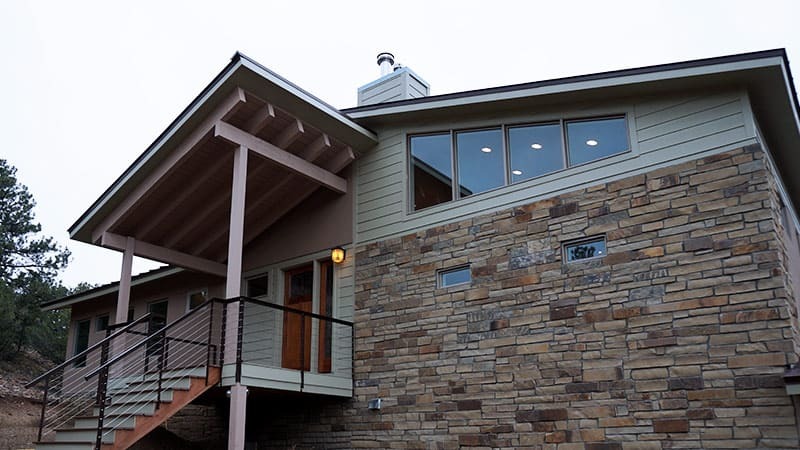 Local indigenous materials utilized include stucco and standing seam metal roofing. 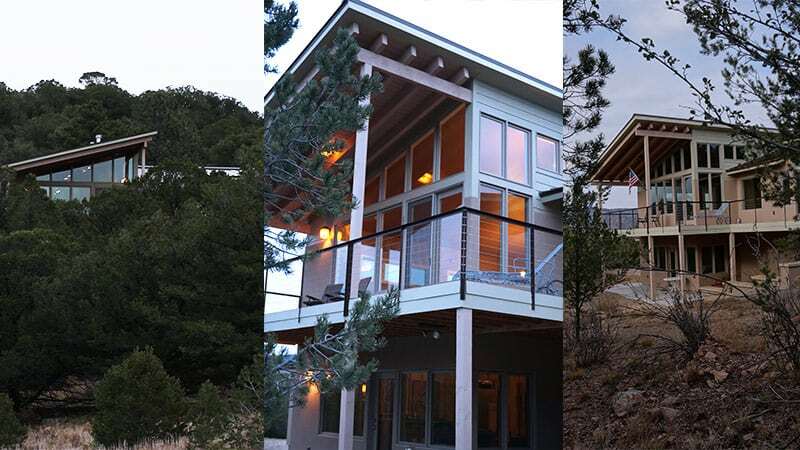 Contemporary materials include aluminum clad wood windows, fibercement siding and composite decking with cable rail railings.